Choosing the right products for your face is certainly important, but how you use them can be even more important. You may have already discovered that while more expensive and high-quality cosmetic products are definitely very nice, spending the extra money on these products does not automatically guarantee that you achieve the stunning results you truly desire. Perhaps you feel stuck in a makeup rut–only able to create one look very well–or perhaps you don’t really understand how best to use makeup in order to truly accentuate your best features. Fortunately, all of this can be resolved through private makeup classes. Using the correct cosmetic products can make application of makeup easier, but only if you know how to use them well. This may cause you to want to turn to easy answers–perhaps through online instructional videos–but this can be detrimental to one’s goal. Not only are the individuals in these videos rarely professional makeup artists, they are unable to see your face and give you the specific advice you need to truly shine. Furthermore, there is only so much you can learn through watching online videos or sitting through professional makeup application sessions. 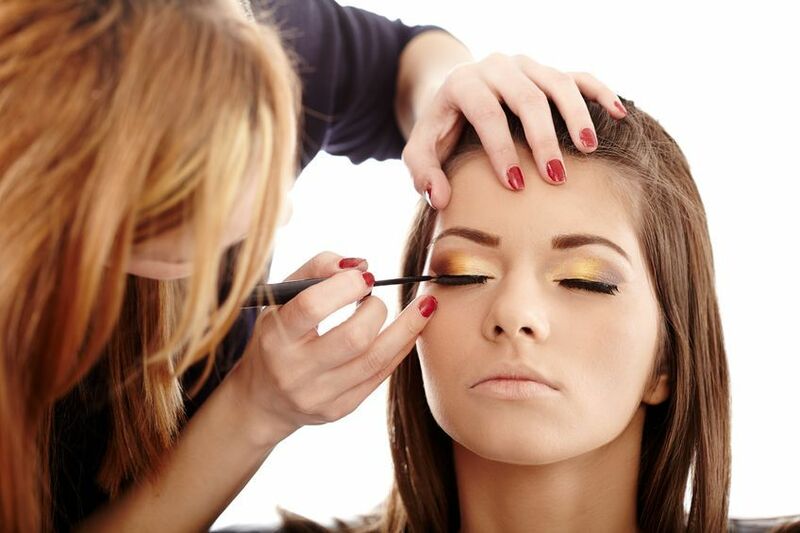 The absolute best way to learn how to properly apply makeup to enhance your natural beauty and best facial features are through professional private makeup classes. How to choose and properly use brushes. There are actually eight different basic makeup brushes you could use, including a foundation brush, concealer brush, fluffy powder brush, blush brush, small blending brush, flat eyeshadow brush, precision angle brush and lip brush. Depending on the products you use and the looks you want to create, you may or may not need all of these different brushes. Whichever you do need, it’s important you learn how to hold them correctly. How to achieve great coverage. Mixing cream foundation with primer can create even better coverage, without ending up with caked-on layers that are obvious and unattractive. It can also blend better with the primer layered on your skin, creating the more seamless look you desire. How to effectively conceal flaws. Effectively concealing flaws on the face is essentially about getting rid of unwanted color, like the irritated pink of zits, redness around the nose and bluish shadows under the eyes. Since opposite colors work to cancel one another out, green concealers cover redness and orange concealers cover bluish hues. This can help explain why using beige concealers are ineffective and tend to result in muddy looks. How to contour. Proper contouring–or highlighting and shading–can allow you to change the perceived shape of your face. Areas that are made lighter than your natural skin tone will stand out more prominently, while areas that are made darker than your natural skin tone will blend in more. In this way, round faces can be made to look more oval, prominent foreheads can be minimized, flat or wide noses can be made thinner in appearance, and so on. How to make your eyes pop. Your eyes are one of the first features others notice about you, and they can be made all the more alluring with proper makeup application. Using highlights and shadows to complement your eye color, you can alter the apparent shape of your eyes. Opposite color contrasts–like eyeshadows with orange undertones for blue eyes, eyeshadows with red undertones for green eyes, and eyeshadows with blue or purple undertones for brown eyes–can help to ensure that they really pop. How to correctly apply eyeliner. Instead of trying to apply eyeliner by drawing your liner across your lid in one long motion, you should apply it from the inner corner to the center, then from the outside corner to the center. How to make your lips look plump. You can use highlights and shadows to make your upper and lower lips appear equal in size, and therefore plump. By properly lining your lips and carefully applying a complementary shade of lipstick, you can ensure your lips have the right shape for your look. How to fill in your brows. Using a dark brow pencil or powder over lighter colored hair can age your face, so it’s best to select shades that are lighter than your natural brow color. How to conceal under-eye circles. This may be one of our biggest pet peeves–and a very difficult problem to tackle without the proper tools and know-how. By learning how to blend orange-tinted concealer with skin-tone matched concealer, you can finally do away with those pesky under-eye circles. You will also have the opportunity to ask about any other issues that you are having trouble with–whether it has to do with your selection of skincare or cosmetic products, your makeup application techniques, or how to change your look. For more information about private makeup classes and how to sign up, contact Botanica today.